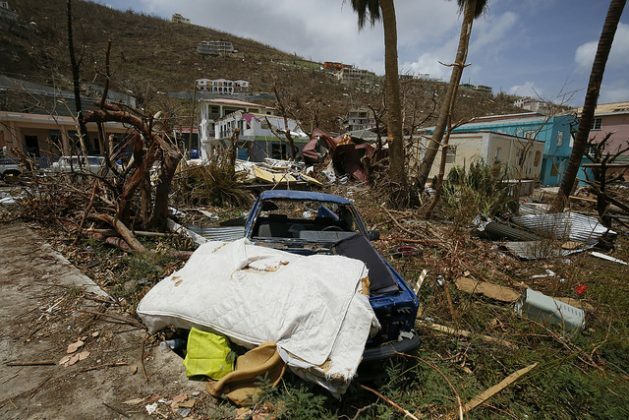 SAN FRANCISCO and ST. JOHN’S, Sep 24 2018 (IPS) - Caribbean leaders want larger countries to pick up the pace at which they are working to meet the climate change challenge and keep global warming from devastating whole countries, including the most vulnerable ones like those in the Caribbean. Diann Black-Layne, ambassador for Climate Change in Antigua and Barbuda’s ministry of agriculture, lands, housing and the environment, said that at present, most studies show that globally we are on track for a 3-degree Celsius temperature rise before the end of this century. She pointed to extreme impacts already being experienced, such as greater storms, melting ice caps, increased overall temperatures, species fragmentation, increased invasive species and many other impacts. “Currently, we need to be below 2 degrees Celsius, preferably at 1.5 degrees, to see a drastic improvement in climate,” Black-Layne told IPS. Black-Layne added that governments must back words with action and step up to enhance their nationally determined contributions (NDCs) by 2020 in line with the Paris Agreement and the ratchet up mechanism. Although the contributions of Small Island Developing States (SIDS) to greenhouse gases are negligible, every little action towards alleviating climate change counts. “More importantly, a global agreement requires everyone to do their part, to build trust and encourage others to act,” Black-Layne said. Meanwhile, at the recent Talanoa Dialogue held this month in San Francisco, newly-elected prime minister of Barbados Mia Mottley said while the Caribbean countries are not responsible for causing the greatest changes in the climate, they are the ones on the frontline. “Dominica was hit by [hurricanes] Irma and Maria, in fact devastated to the tune of 275 percent of its GDP last year. 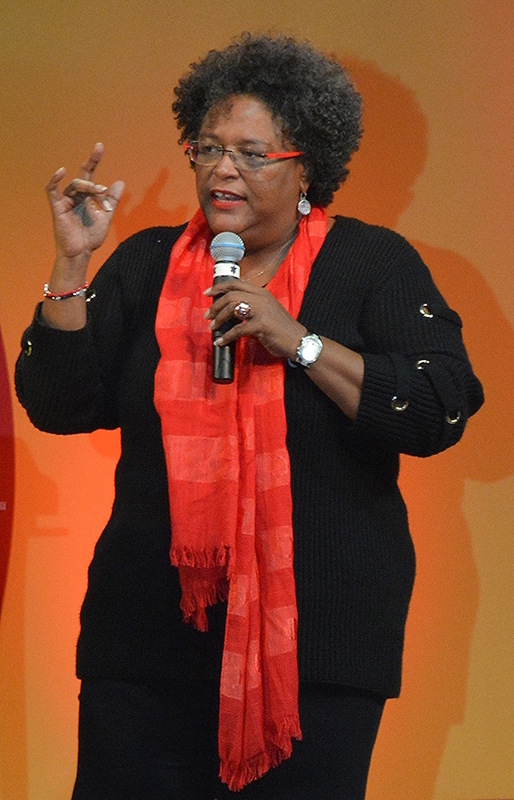 And that came on top of [tropical storm] Erica which devastated communities and led to loss of life,” said Mottley, whose Barbados Labour Party won all 30 seats in the May 24 election. In 2015, 196 parties came together under the Paris Agreement to transform their development trajectories and set the world on a course towards sustainable development, with an aim of limiting warming to 1.5 to 2° C above pre-industrial levels. Through the Paris Agreement, parties also agreed to a long-term goal for adaptation – to increase the ability to adapt to the adverse impacts of climate change and foster climate resilience and low greenhouse gas emissions development, in a manner that did not threaten food production. Additionally, they agreed to work towards making finance flows consistent with a pathway towards low greenhouse gas emissions and climate-resilient development. In June 2017, United States president Donald Trump ceased all implementation of the non-binding Paris accord. That includes contributions to the United Nations Green Climate Fund (to help poorer countries to adapt to climate change and expand clean energy) and reporting on carbon data (though that is required in the U.S. by domestic regulations anyway). But the U.S. remains part of the U.N. Framework Convention on Climate Change. Forty years ago, Barbados commenced the use of solar water heaters through tax incentives. Today, Mottley says, no one in the country thinks about building a house without a solar water heater. “That simple example showed us how the change of behaviour of citizens can make a fundamental difference in the output. We aim by 2030 to be a fossil fuel-free environment but we can’t do it just so,” she said. Explaining that Barbados has recently entered a staff-level agreement with the International Monetary Fund, she lamented that her new government inherited a situation where Barbados is the third-most indebted country in the world today. “It means that our options for development and financing are seriously constrained but our reality to fight what is perhaps the gravest challenge of our time continues. We cannot borrow from the World Bank or other major entities because we’re told that our per capita income is too high,” Mottley said.